Changes to Delaware's underinsured motorist insurance (UIM) laws have improved auto accident victims' access to compensation for medical care related to injuries suffered in an accident that occurred due to another person's negligence. Previously, injury victims' access to compensation under a UIM policy only became available if the at-fault party's coverage was less than that provided by the victim's UIM policy. So, if the at-fault driver had liability coverage of $15,000 and you had UIM coverage for $15,000, you would only have access to the $15,000 from the at-fault driver's policy. Under the new law, UIM coverage becomes available if the cost of your care exceeds the limits of the at-fault driver's policy. So, in the previous example, if the at-fault driver has $15,000 in liability coverage and your medical costs total $25,000, you would be able to file a UIM claim for the $10,000 that was not covered by the at-fault driver's policy. Pursuing these claims can be quite complex and the assistance of a qualified lawyer can be invaluable. 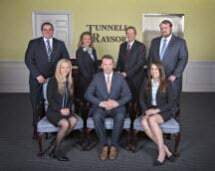 At the Georgetown-based law firm of Tunnell & Raysor, P.A., our attorneys represent injury victims in all types of complex auto accident claims. We understand the changes to underinsured motorist insurance laws in Delaware, and we pursue every available option in an effort to secure the compensation you need. Contact one of our offices in Georgetown, Lewes, Rehoboth Beach or Bethany Beach to discuss your auto accident claim with a Delaware lawyer and learn more about your rights and legal options.